Dining outside on a camping trip doesn’t need to be a messy affair. While you might be enjoying the simplicity of rustic living, there are simple luxuries which can elevate your camping experience from great to amazing. When it comes to evening meals watching the sun go down and early morning breakfasts, having a sturdy camping table can help make family meals outside all the more memorable. Camping tables aren’t just for eating, though - they can be a perfect spot for reading on a sunny afternoon or playing card games with the whole family. However, with so many camping tables on the market these days, it can be difficult to choose the best one for your adventures. To help you decide, we’ve researched and compiled our top five choices for camping tables, including our suggestion for the top pick and best value to help you decide. After reviewing some of the most popular camping tables in Australia, we concluded that the Coleman Table Fold-in-Half was our top pick because of its spacious in surface area, compactness, lightweight, and moderate price. The Wanderer Steel Folding Table, on the other hand, is our best value pick because it combines light weight with strength and simplicity. Any of the tables in this review, however, will make campers happy. So, we’re here to help you decide which is right for your needs. Surface area: If you’re a large family or a big group of friends, you’ll want a table to seat you all. On the other hand, solo travellers and couples might not need the extra space. 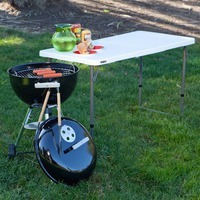 When looking for a camping table, the amount of surface area you need should be a guiding factor for your purchase. 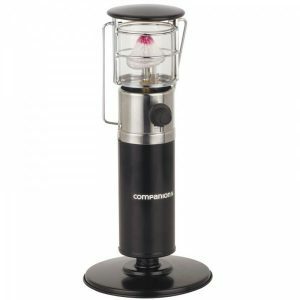 Compactness: When you’re out camping, you don’t want too much gear that’s large and bulky. Many camping tables boast intelligent compact designs that make transport and storage a breeze. On the other hand, some will require a bit more ingenuity to pack into the back of the car for the weekend. If you need a kit that’s easy to transport and store, you’ll want to keep compactness in mind with these camping tables. Weight: Along the same thread as compactness, having gear that’s excessively heavy can be a struggle for some campers who have difficulty moving large objects. While some camping tables are fairly light, others can be surprisingly heavy, so it’s an important consideration. Price: If you’re like us, you’d rather spend more money on adventures than on outdoor furniture. So, for some campers, a camping table that empties your wallet might not be the best option. We’ve therefore compiled a variety of different tables to meet all budgets. Now that we know what to look for, we’ll transition to product reviews for each table. We’ll highlight where each table succeeds and discuss any criticisms we might have so you can find a table that works for you. 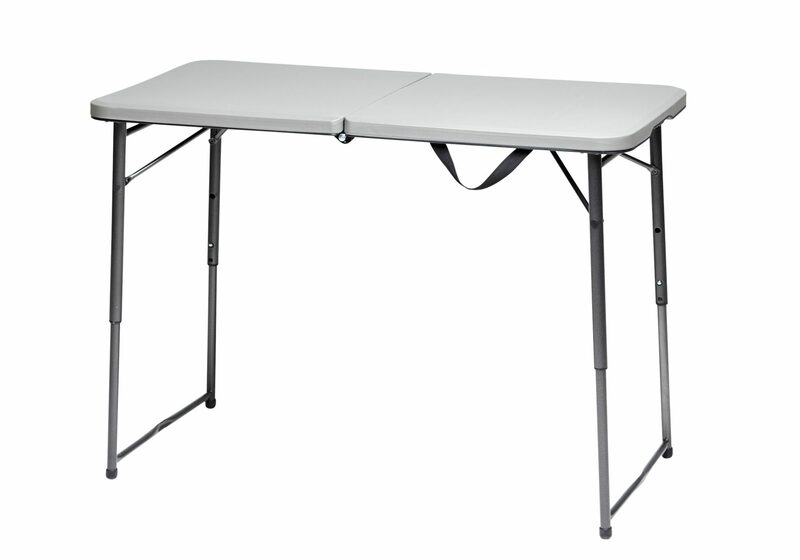 A spacious, yet lightweight table, this Coleman Fold-in-Half is the top pick in our review. It seamlessly boasts the largest surface area in our review with the smallest compact size. If that wasn’t good enough, it also manages an incredibly impressive 200kg weight capacity while also being only moderately heavy. The steel frame on this table is no joke and it is ready to stand up to whatever you can throw at it. 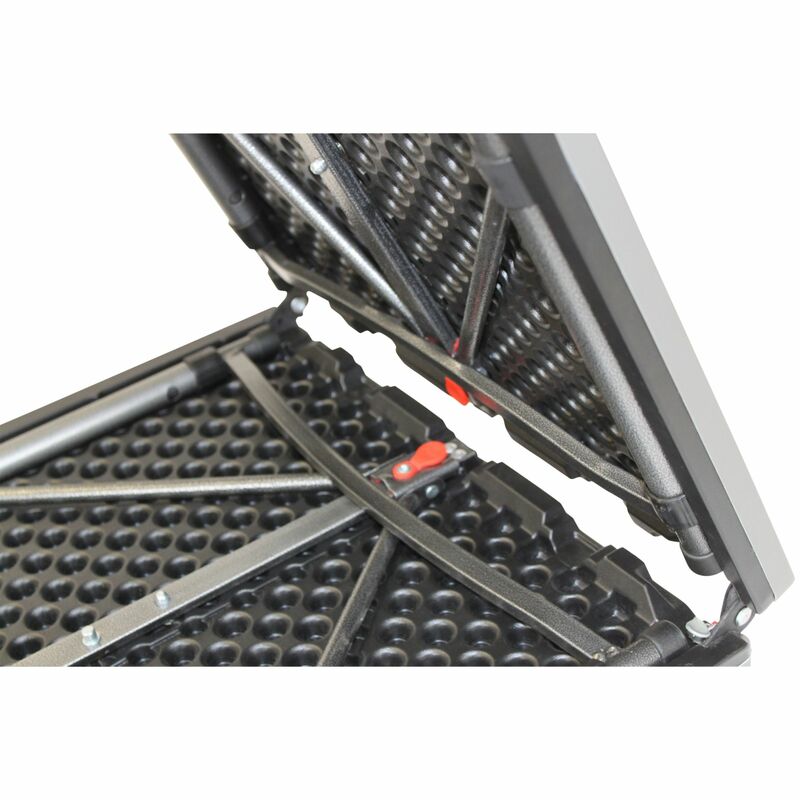 The Fold-in-Half is a dream to use and even easier to set-up, transport, and store, with its pinch-free safety lock legs and convenient carry handle. While it is a bit pricier than others on the list, we’d recommend the Coleman Fold-in-Half to anyone looking for a great mix of durability, size, and ease of use in their next camping table. 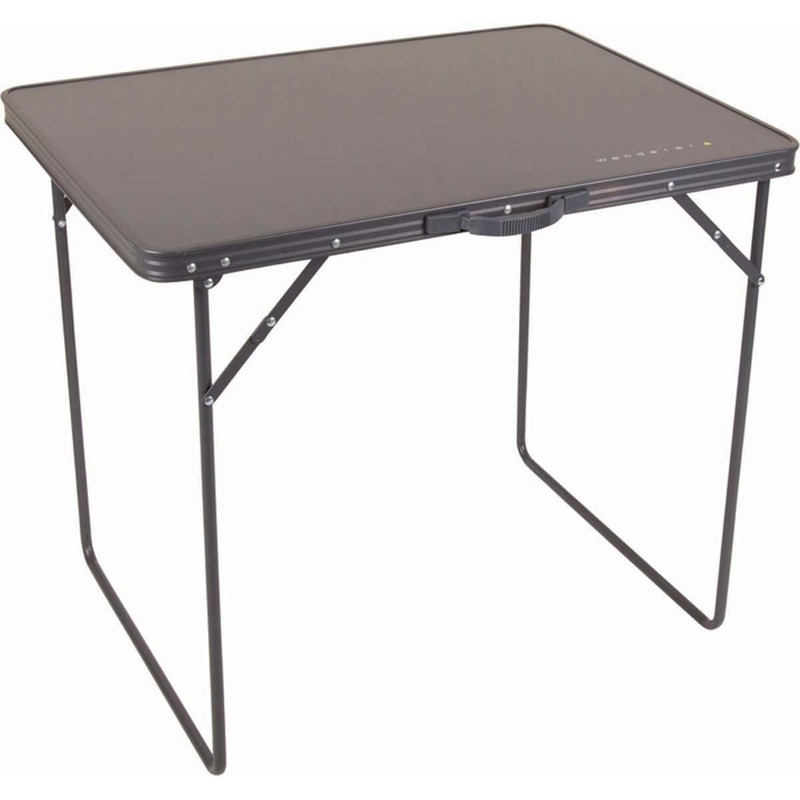 This super adjustable steel-framed table from Lifetime is a versatile pick for campers that value the ability to customize a table to meet their needs. With three different heights of 61, 74, and 91cm, this table can be adjusted to whatever is comfortable for you. This is an important consideration for campers concerned about straining their back while sitting at the table. 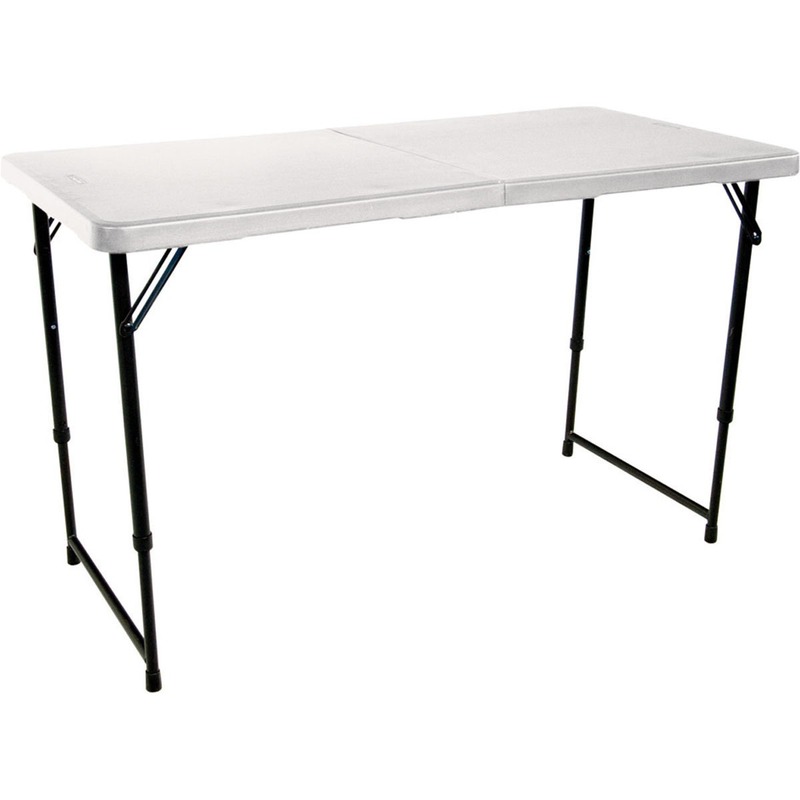 Additionally, this Lifetime folding table features an easy to clean surface to help you stay tidy and organized outside. 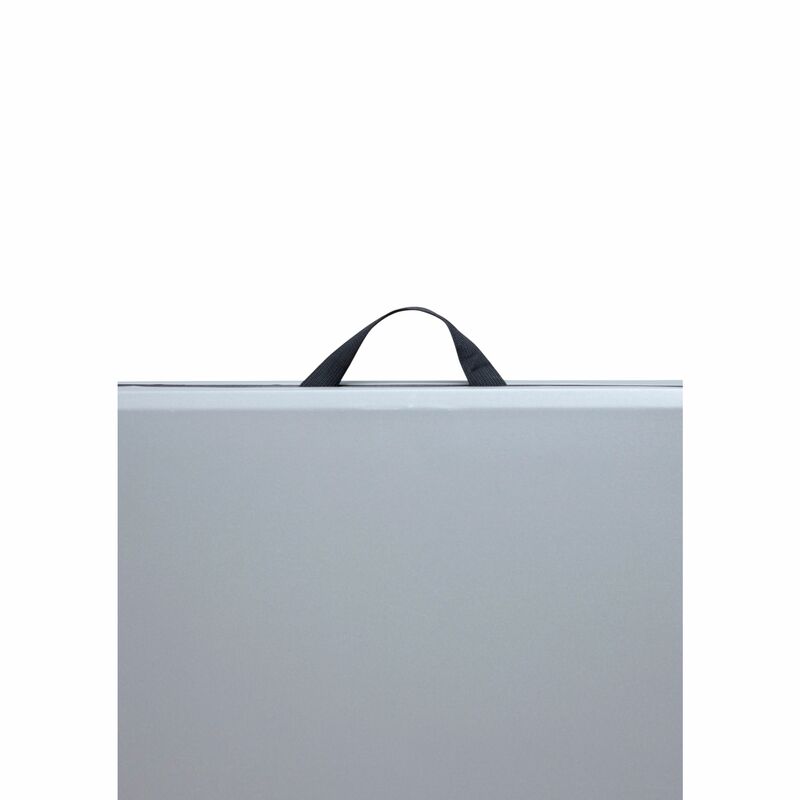 Its compact folding design and carry handle make it easy to transport and store. 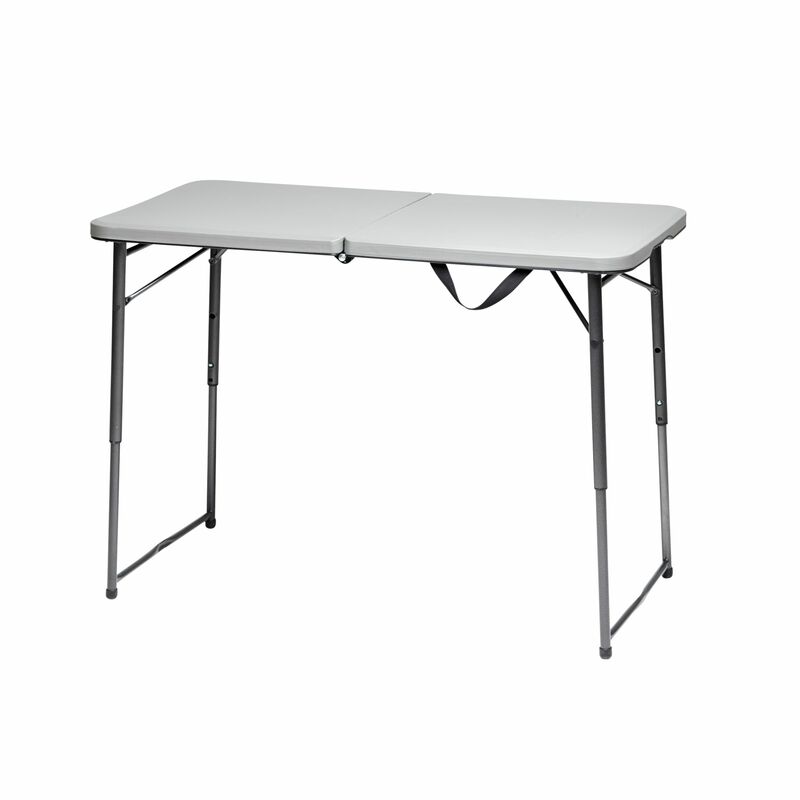 Our main concern: it’s a bit heavy for a table its size, which can be difficult for some campers. That being said, it’s the strongest table in our review with a distributed weight rating of an astonishing 340kg. Long story short, if you’re interested in adjustability and quality, this Lifetime table is a sure bet. The lightest and most budget-friendly pick in our review, the Wanderer Steel Folding Table is a great choice for campers looking for a mix of features and value. 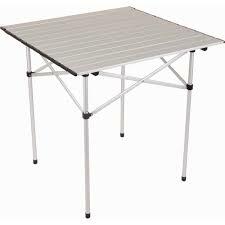 At only 3.3kg and touting an easy to use carry handle, most campers will find transporting this table to be a breeze. It's super simple folding design makes set up easy, so you can get right to enjoying your new campsite. The Wanderer’s sleek steel frame and smooth finish will make it the envy of all your friends. Space-conscious campers should note that while it’s a relatively small table, the table surface itself doesn’t fold, so the Wanderer isn’t terribly compact. Regardless, it’s a great all-around table that would be easily at home at a family outing or on a solo retreat. Budget-conscious campers can rejoice with the Wanderer Steel Folding Table. This Lifetime table is the only one in our review that comes complete with two benches. Perfect for families with younger children, The Lifetime Sports Blow Mould Table is practical for campers in need of an all-in-one dining set-up. This table features a nice, folding design and the benches even clip in under the table itself. Additionally, the table has a nifty carrying handle, which you’ll need as the whole kit tips the scales at a cool 18.95kg. While not feasible for lightweight campers, if you can handle the extra weight, you’ll be impressed by the table’s strength, durability, and functionality. The Cleanskin is perhaps one of the more unique tables in our review. Unlike the other tables, this one doesn’t fold – it rolls, making transportation and storage simple and convenient. While this may sound like a tricky-set up, you can leave the instruction manual behind on your next trip with this table. Simple, sophisticated, and compact, this is a great option for solo campers, couples, and anyone who struggles with transporting large items. For families, this could be used as a second table, but it’s a bit small to be the main dining option. 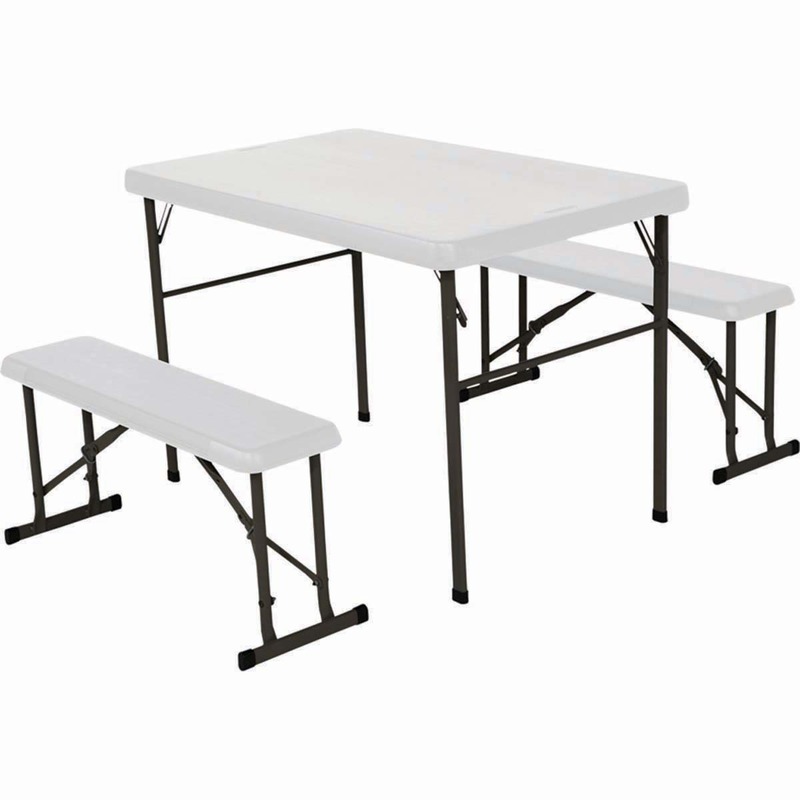 Our biggest concern with the table is its very low capacity weight, which is a consideration for campers who need their gear to stand up to any conditions. 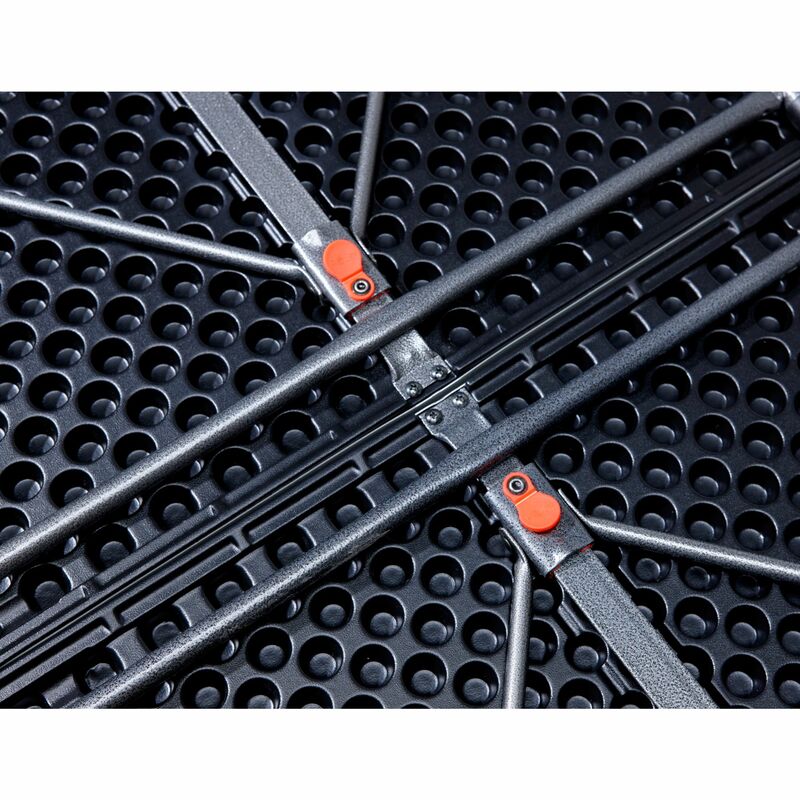 A funky table and a great price, the Cleanskin Roll Up Aluminum Table is perfect for campers who value ease of transport and storage over extreme durability.